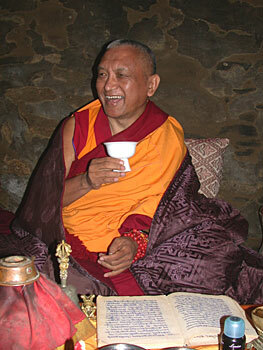 Lama Zopa Rinpoche, Tibet, 2002. Photo by Ven. Roger Kunsang. 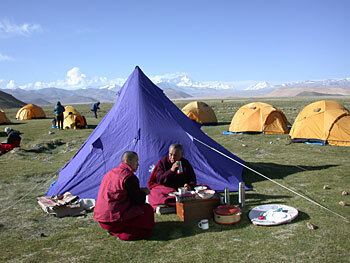 In 2002, Lama Zopa Rinpoche led 50 pilgrims from around the world on a journey to Tibet’s most sacred places. Cinematographer Christina Lundberg caught this extraordinary pilgrimage on film, and the result is a stunning new documentary, Mystic Tibet: An Outer, Inner, and Secret Pilgrimage. Lama Zopa Rinpoche with fellow Sangha, Tibet, 2002. Find the trailer of Mystic Tibet on YouTube! You can purchase a copy of Mystic Tibet on DVD from the Foundation Store.